CNCRT 32: IS IT OK TO USE OTHER PEOPLE'S WORK? Is it OK to use other’s people’s work? In this episode we discuss intellectual property and answer the question “ Is it OK to Use Other People’s Work”? We examine what intellectual property is and how to respect the work of others. 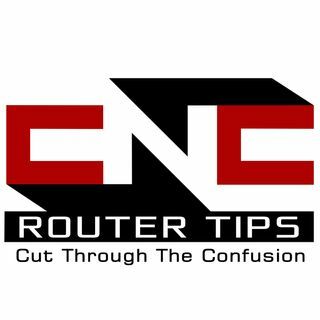 Also in this episode we talk a bit more about the upcoming contest to celebrate reaching 3000 members in the #CNC Router Tips Facebook Group. You can enter at http://cncroutertips.com/contest. I agree about the outright thief of other work. I am not a lawyer either. However, what exactly is a copy of someone else's work? It is the shape, the techniques used, paint scheme, font, lettering, size or other factors? Without the original creation file (DXF, STL, etc), it would be very difficult to exactly copy another work. Everything we do is "handmade" by definition. We use CAD/CAM along with an automated machine of some form to make the end product. Even if it is very similar to another's work, is it not original work? I don't know. My take. If you have a design you don't want to be copied, then don't put it on the Web. Or plainly place "Copyrighted" across the picture. Really enjoy the facebook page! Spend a lot of time on it.